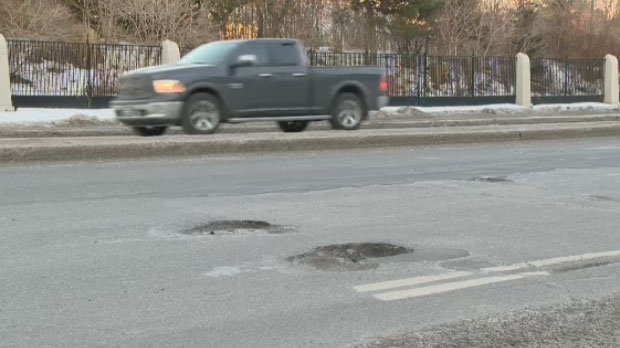 While plenty of Montrealers are suffering through the latest cold snap, it’s been an especially bumpy ride for motorists as temperature fluctuations have worsened the city’s pothole epidemic. 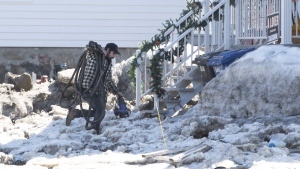 While the city normally deploys its pothole fillers as temperatures warm up, the problem has gotten so severe that they’ve been brought out onto main streets while workers will begin manually potching smaller roads on Monday. The bumps in the road has kept Montreal’s garage busy. One mechanic at Pneus Gordon’s in NDG said the number of tire repairs has nearly doubled compared to this time in 2016, with blown out tires, bent rims, and damaged suspensions among the most common issues. For those looking forward to next week, when temperatures are expected to rebound over 0 degrees, the continued up-and-down on the thermometer will only mean more potholes.